Laganas is a party town favored by young Brits. It is also a town that seems to be a home to dodgy booze. Featuring a main strip that is lined with clubs and bars, this beach town on the Greek Island of Zakynthos draws underage teenagers with its large beaches, calm waters and easy access to alcohol. The Greek Holiday for 17 teenagers became a Greek Nightmare as they were rushed to the hospital with methanol poisoning after drinking only a few drinks at bars in Laganas. All the teens were boys aged 17 and 18 years old who related that they had as little as three drinks before becoming violently ill. The boys were all former students of a Northumberland Prep School who booked their Greek Holiday with Thomas Cook to celebrate the end of school. Cole Burton told The Sun, a British based news organization that the group went bar hopping, some ordering beer, some, straight shots and other cocktails. After having one drink at three bars some of the teens headed back to the hotel complaining about feeling sick. Mr. Burton returned to the Hotel just after midnight but was awakened by hot and cold sweats and severe stomach pains at around 3 A.M.
Rushing to the bathroom to vomit, Cole encountered others from the group who were also vomiting violently. He described the vomit as “red and black”. One member of the group of 17 teens laid in bed convulsing uncontrollably. The Hotel receptionist was made aware of the situation and called for ambulances. Two ambulances were dispatched to take the 17 boys to two area hospitals. At each hospital doctors immediately started an IV, which Cole says did little to stop the constant vomiting. Lucky indeed, as this same strip of bars in the town of Laganas is where 20-year-old Hanna Powell was blinded by dodgy booze. 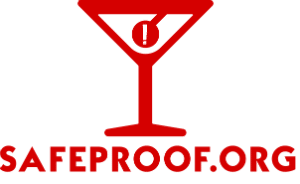 SafeProof.org covered Hannah’s encounter with dodgy booze in a posting published on June 8, 2017. Hannah was not as lucky as the 17 teens in 2018. After her drinking experience on this idyllic Greek island Hannah was close to death, suffering severe kidney damage and permanent blindness. Dodgy booze and methanol poisonings are a serious problem in these party hot spots on the Greek Islands. Many visitors to Athens also complain about the symptoms of methanol poisoning after frequenting clubs in that international party city. Unscrupulous restaurants, bars and clubs buy counterfeit alcohol never questioning its content. Most of this cheap liquor bought by retailers to boost their profit margin is made quickly and easily by mixing methanol alcohol with water and flavorings and bottling it in counterfeited liquor bottles. Methanol Alcohol which is used in dodgy booze around the world is made for industrial purposes such as cleaning solvents, nail polish remover, windshield washer solutions, and fuel additives. It is far less expensive than distilling ethanol alcohol which is the consumable alcohol in beverages. Methanol alcohol poisoning can and has caused death, blindness, nerve damage, kidney failure, liver disease and paralysis.